DESCRIPTION FINANCING OPTIONS OR RENT TO OWN WILL BE CONSIDEDERED BY SELLER.This home is a must see. Modern and traditional blend beautifully offering 1185 square feet of useable space. Main floor showcases a beautiful kitchen with modern cabinetry large island for extra storage,quartz countertops,stainless steel appliances and a back splash that compliments the cabinetry beautifully.Living room with corner gas fireplace for those cozy nights at home.Completing the main level is a master with bedroom with walk-in closet and 3 pce ensuite,2nd bedroom and laundry room with entrance to garage.Home is constructed using ICF foundation which helps to keep your home cool in the summer and warm in the winter cutting back on monthly bills.Another bonus is the HRV which is an energy recovery system that will keep your home filled with a continuous flow of fresh air and eliminates the need for A/C.Home will be landscaped front and back so you can just move in and enjoy.Progressive Home Warranty provided by Seller. Home for sale at 38 Harvest Sq Claresholm, Alberts T0L 0T0. 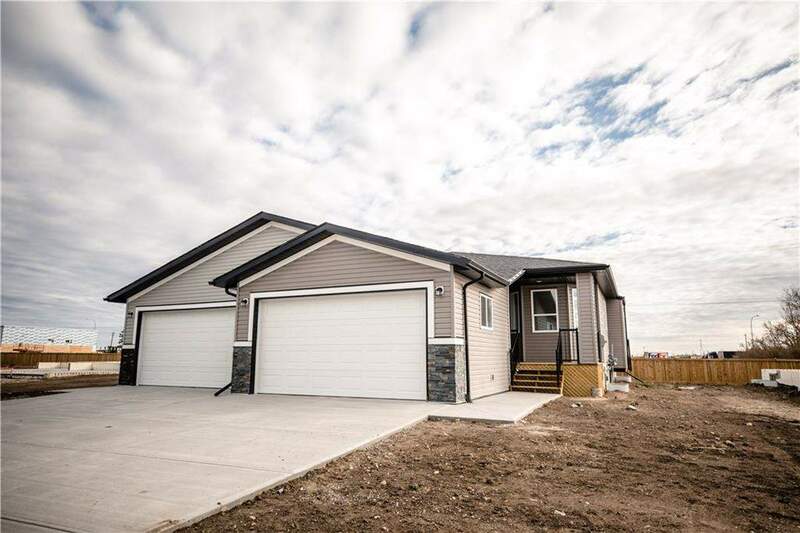 Description: The home at 38 Harvest Sq Claresholm, Alberta T0L 0T0 with the MLS® Number C4208401 is currently listed at $298,500.